Klout has gotten a makeover. 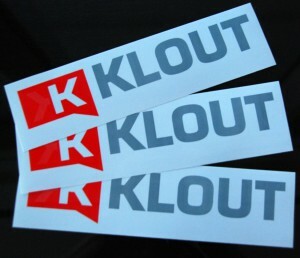 And what’s Klout, you ask? You may have heard of Klout scores. Those range from 1-to-100. But according to Mashable, Klout is a San Francisco-based company that provides social media analytics to measure a user’s influence across his or her social network. 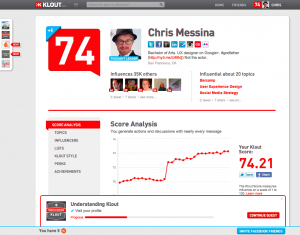 Klout looks at data from Facebook, Twitter and Google+. It measures the size of a person’s network as well as its content. The California Company has claimed to have built more than 100 million profiles, but it has recently come under fire for its business model and operating principles. Now Klout won’t just measure your score and send you on your way, it will also provide you with a stream of content you’ll most likely want to share, actively boosting your score—according to Mashable. During a conversation with Mashable, Klout founder and CEO Joe Fernandez insisted that the new service change is “not a pivot”, but a response to the most common question he had been asked by users for five years: How can I boost my Klout score? According to Mashable, Klout isn’t skyrocketing to instant startup fame like Porch or Tipbit, but it isn’t going anywhere either. Let’s take a look back at its creation in 2009. In 2007, Fernandez’s jaw was wired shut so he had no choice, but to resort to Facebook and Twitter to communicate—and then a remarkable thing happened—he noticed how online communication influenced his personal network and set out to create a website that could measure word of mouth and how it scaled, according to Mashable. Klout made waves when it changed its algorithm and Justin Bieber had more Klout than Barack Obama. Many users saw their scores reset back to a blank slate and began losing faith in the company citing a lack of stability. Klout recently partnered with Bing and it’s actually a pretty cool collaboration. Klout will pull data from Bing’s Internet crawlers before they get added to the search engine, presenting the user with a list of just-published stories and suddenly hot sites in topics of their choice. Pretty snazzy, huh? Users can also easily share content on all of their social media sites or schedule them in advance—and, according to the article; it’s even easier than Hootsuite. “I get up in the morning and realize I haven’t shared anything for three or four days,” says Fernandez.